This photo shows the Catalan town of Gerona on a beautiful sunny March day. The coloured houses make the reflection particularly striking, don’t you think? 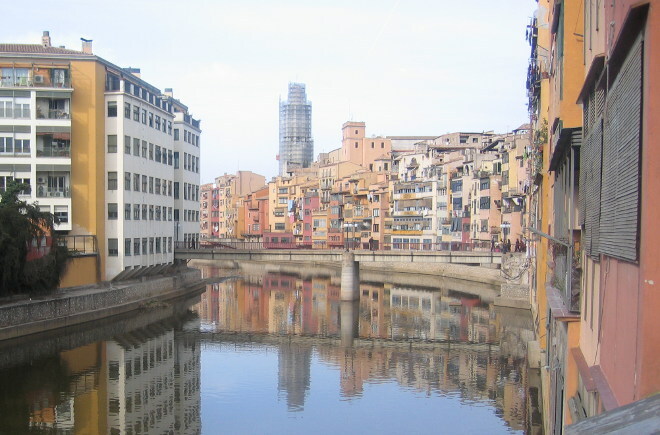 Imagine a river or a lake so still that the surrounding buildings are reflected almost perfectly. Imagine this upside down town is as populated as the one you live in, by people who live in a topsy turvy world where everything is back to front and they breathe water instead of air. Imagine they see your world as the reflections, and think you’re the one upside down. This could be a children’s story, or a thought-provoking dystopian tale. You decide.